The FX30 vacuum excavator is ideal for a wide range of relatively small projects and multiple short runs per day, including municipal tasks such as valve box cleanout, storm drain cleanout, commercial and residential debris cleanup and landscaping, underground utility location, posthole digging, and construction site storm water control. 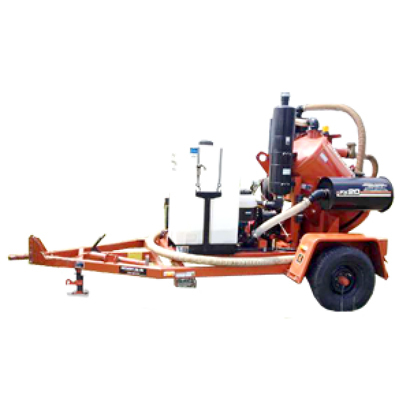 Offering a choice of options, the 27-hp (20.1-kW) FX20 vacuum excavator has the suction power of the larger FX30, yet it can be easily transported with a flatbed or pickup truck. Height, w/out boom 93 in. Tank Outlet Valve Size 4 in.